We have presented and been commissioned to conceptualise our designs for a range of exhibitions and shows. We receive regular requests to conceive and design exhibitions; not only to display our own work but we're also commissioned as exhibition designers. We develop concepts and produce the envisioned space. We also regularly display at fairs and design event weeks. Please see our blog for past and upcoming events. When designing the Vienna Design Week Debut in 2010, we were inspired by the highly futuristic selection made by the committee. It was obvious to us that design was no longer reactive to current needs, but instead imagining future scenarios by applying design to technology. 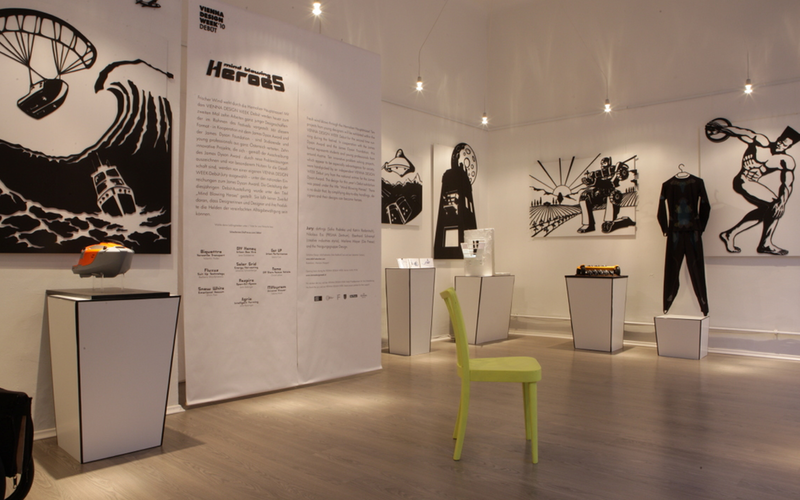 The objects envisioned superpowers and the sci-fi element inspired us to design an exhibition that celebrated the objects on display as superheroes of the future, in this case, designed by ten upcoming Austrian designers. As part of the series "Applied Arts: Today" we were invited to our first solo-exhibition at the MAK; Museum of Applied Arts in Vienna. 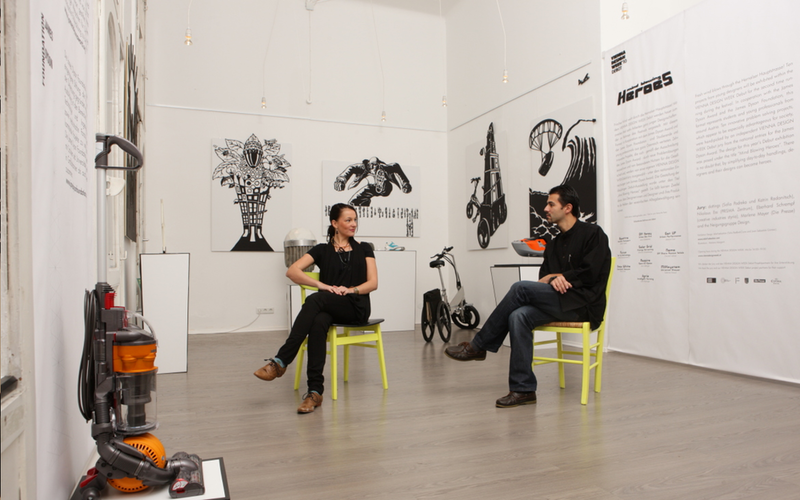 We created an installation of objects that reacted to people’s movement through the room. It was our first project that investigated how machines interact with people on a more human, physical level. 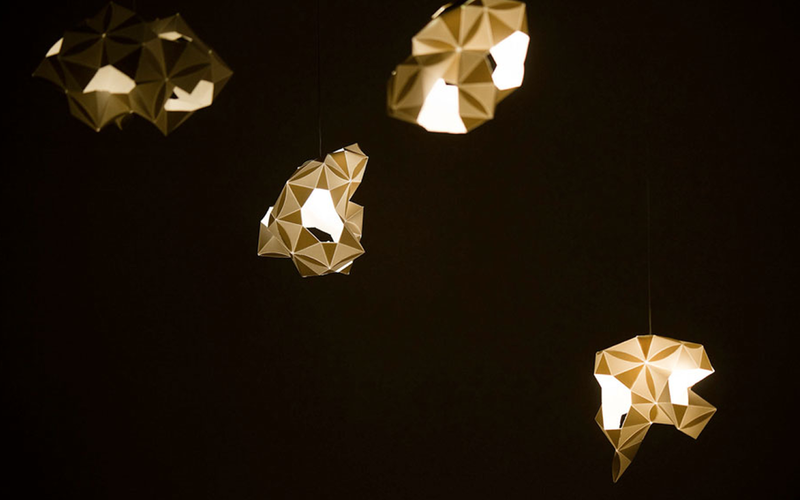 Inspired by “energy scavenging”, such as Voltree which is, the capturing of energy from living organisms, we installed OLED-powered, hand-crafted paper elements that absorbed the overage energy of the visitors of the exhibit. The atmosphere of the room mapped the movement of the visitors through the space. The research was kindly funded by the BMUKK. As part of the series "Applied Arts: Today" we were invited to our first solo-exhibition at the MAK; Museum of Applied Arts in Vienna. We created an installation of objects that reacted to people’s movement through the room. It was our first project that investigated how machines interact with people on a more human, physical level. Inspired by “energy scavenging” such as Voltree which is the capturing of energy from living organisms, we installed OLED-powered, hand-crafted paper elements that absorbed the overage energy of the visitors of the exhibit. The atmosphere of the room mapped the movement of the visitors through the space. The research was kindly funded by the BMUKK. In Vienna, the “Kaffeehaus” continues to be a place where one consumes time and space, but in monetary terms is only charged for the coffee. The famous “Coffee Culture” is associated with revolutionary thinking, which in today’s digital age can be encouraged further by café owners. For the Great Viennese Café: A Laboratory dedicated to the exploration of the future of Viennese “Coffee Culture”, we’ve dedicated our piece to the critical debate about the changing educational system. We’ve envisioned the Coffee House as the patron of the mind, a place that encourages solitude and communion through curated social contact. 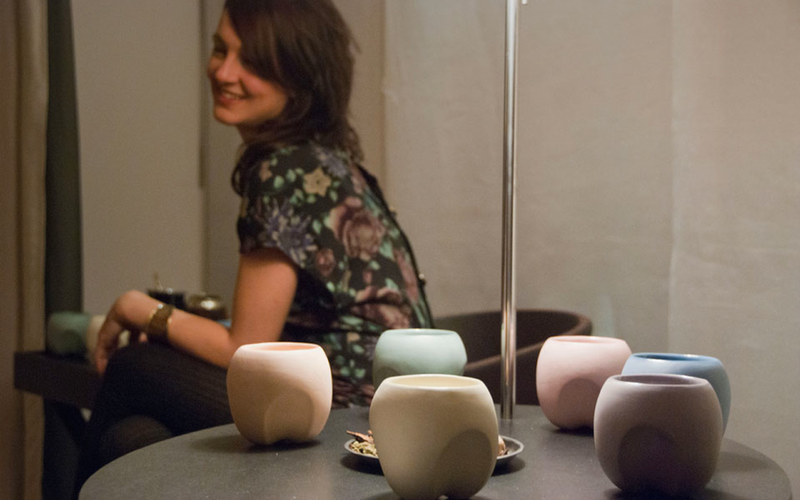 For the Vienna Design Week’s Review “One Night Stand” party in 2009, we presented the tea cup Maitee at Hollman’s Beletage Hotel. 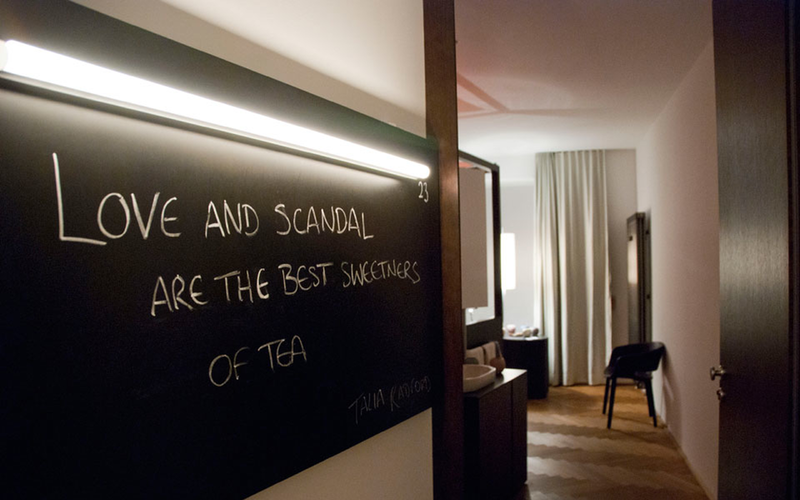 Our installation “Love and Scandal are the best sweeteners of tea,” was presented in the room 23, where we displayed our first Maitee series; various objects of curiosity and a ‘look book’ to illustrate the diversity of the tea cultures. 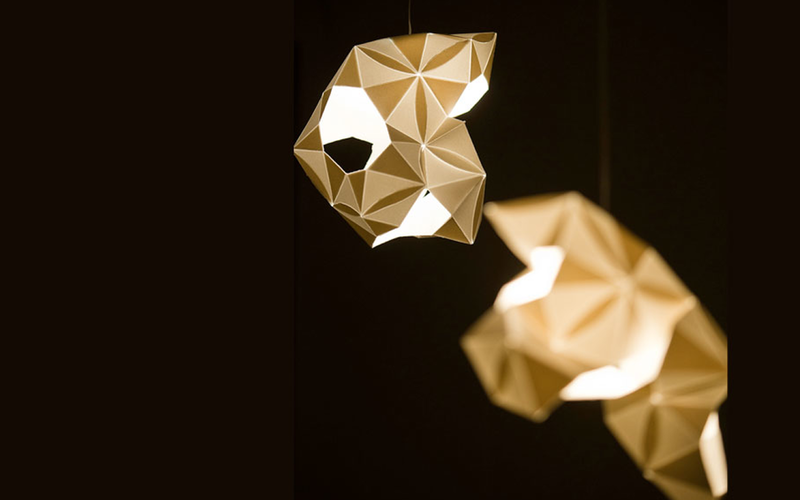 The night sealed our debut in the Viennese design scene.